The Hurricane Worldtimer is a wonderful pilots watch, which commemorates the legendary aircraft used by the RAF in the Battle of Britain. With a generous (black PVD treated) 316L steel case measuring 46mm x 12mm the watch is designed to make a bold statement. What makes this timepiece so extraordinary is the meticulous attention to detail. The black/grey dial works in perfect balance with the black numerals, indexes and sub counters. Other impressive details include a rotating bezel (with flight calculator), anti-reflective sapphire crystal lens, silver crown/pushers, (black PVD treated) steel bracelet and second time zone. At the heart of the watch is Swiss made 13-jewel Ronda 5030D quartz movement. The HURRICANE WORLDTIMER continues the success story of the HURRICANE released in 2010. True to its heritage the HURRICANE WORLDTIMER offers all the functions expected of a professional pilot's watch: a circular sliderule, allowing for all types of aviation-relevant calculations, a world-time bezel with multiple timezones and a chronograph. The solid stainless steel case with a screw-down crown houses the Ronda cal. 5030D quartz movement. 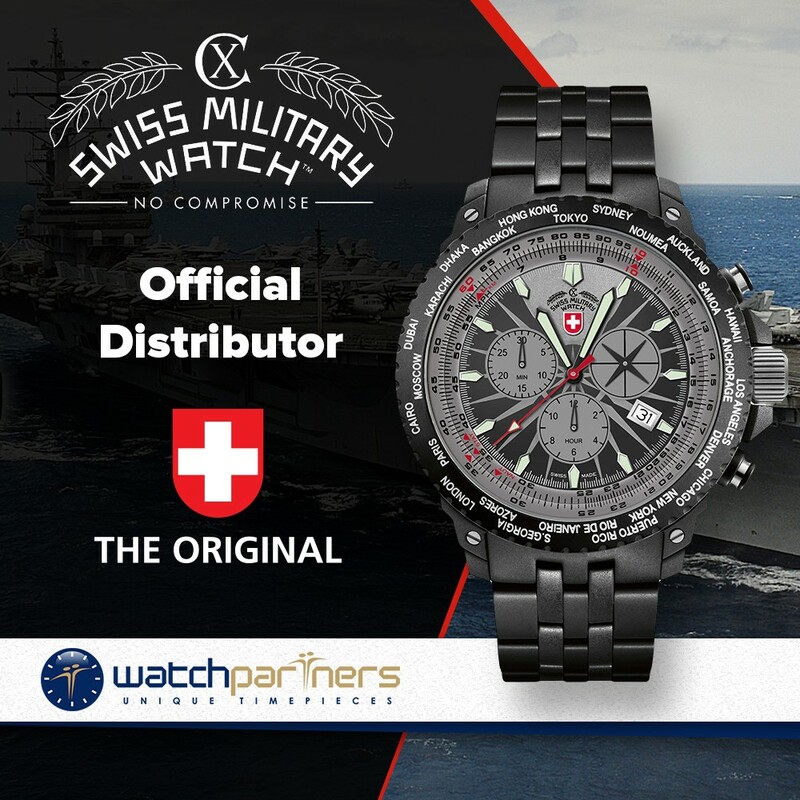 The compass-rose design of the dial sports Superluminova™ covered indices to allow full functionality at night, too. 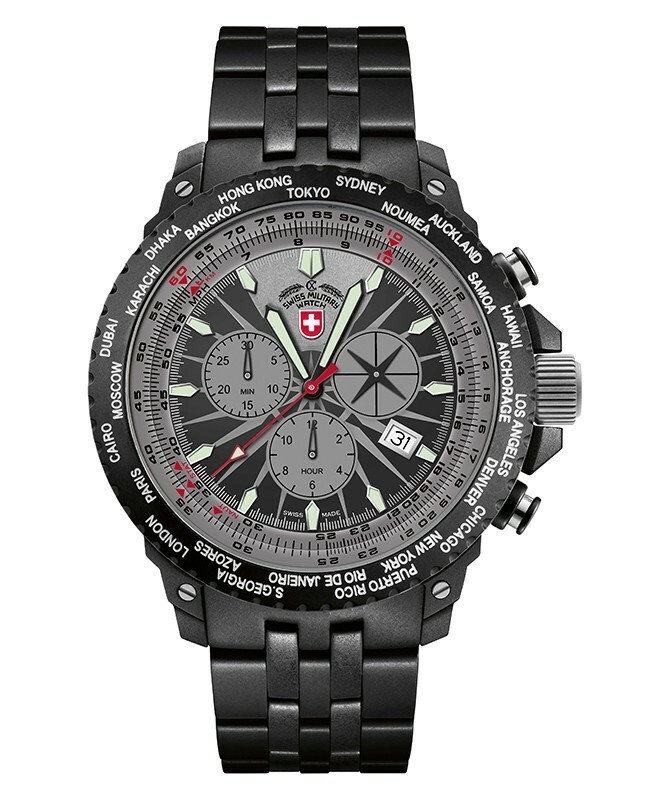 The HURRICANE WORLTIMER is water-resistant to 20atm or 200 meters.